It's easy to think of technology as a constant forward march, a smooth catenary arch towards the present. 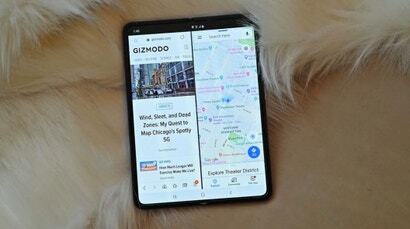 But some technologies don't make it. 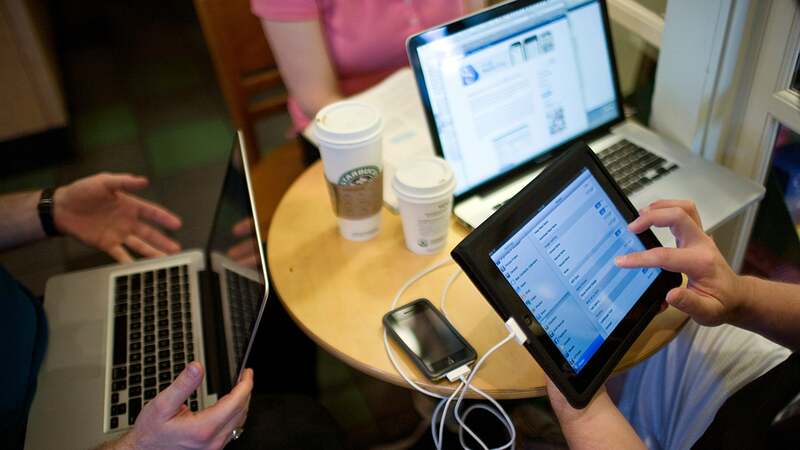 Sometimes, grand visions of the future only last for a few years — or maybe a few decades. Today, it's hard to imagine how exciting the 1890s were: The first electrical grids sputtered to life. The first gas-powered car races roared around cities. The first skyscrapers began to climb. As all this progress was blooming across the world, a strange new type of bridge began to spring up across industrial cities in Europe. It looked spider-like, with spindly steel legs that sometimes stretched higher into the sky than the tallest buildings of the day. 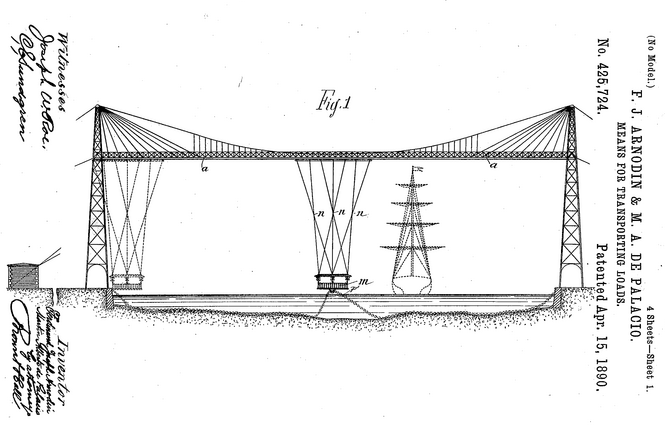 Webs of cables held up a platform that hung over the water, moving back and forth from shore to shore, shuttling workers across busy waterways and dodging the tall-masted ships that could pass below its long legs. 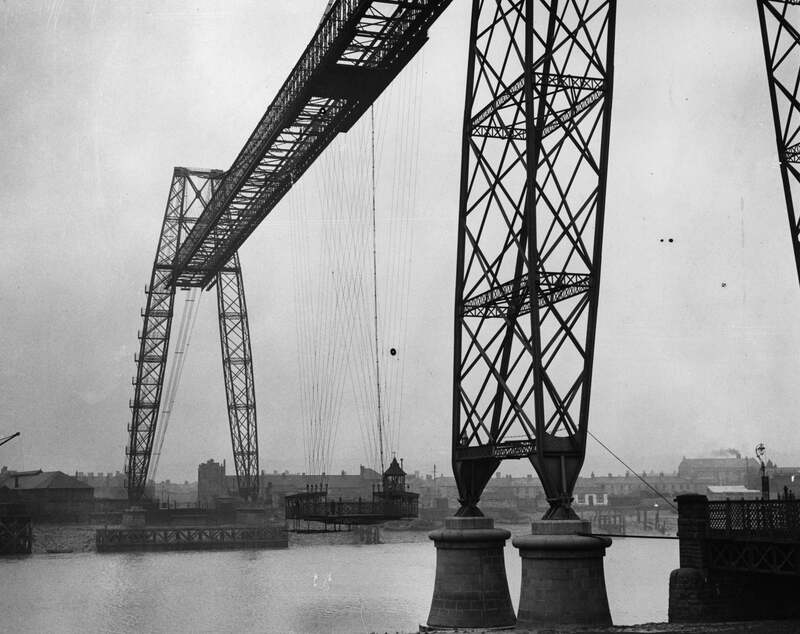 It was called a transporter bridge, and for a few decades at the turn of the century, it was the epitome of progress and modernism. But today, there are only about a dozen left. 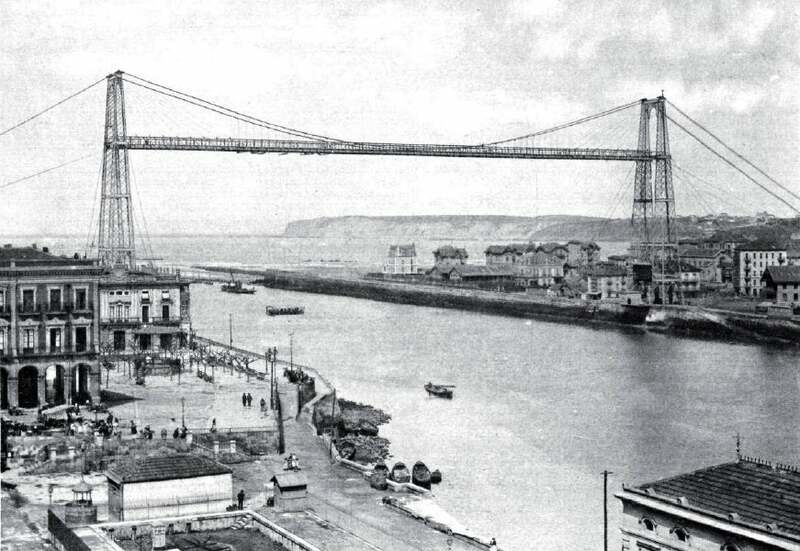 In the early 1890s, a student of the great engineer Gustave Eiffel named Alberto Palacio returned to his homeland of Basque Spain to build a bridge unlike anything else in the world — something so spectacular and dangerous-looking, it would be discussed by engineers across the globe. 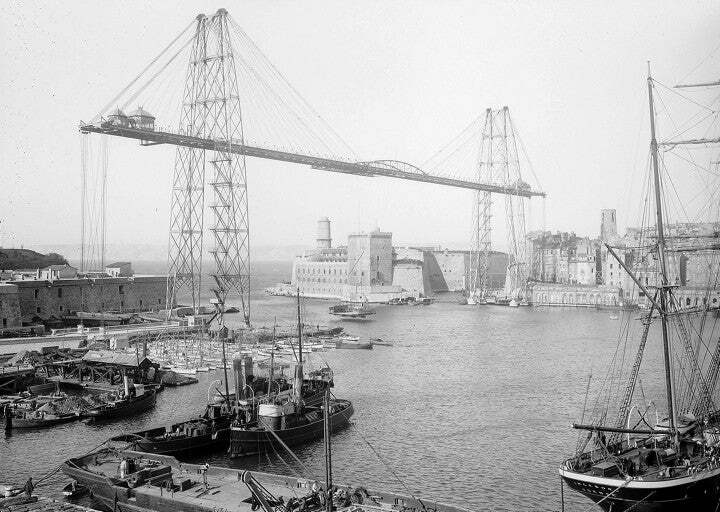 Palacio's Vizcaya Bridge was the first Transporter Bridge, and it solved a very simple problem. It linked the two burgeoning industrial towns on either side of the Port of Bilbao without interrupting the passage of tall ships, and without requiring tons of ramps to get travellers up high enough to do so. 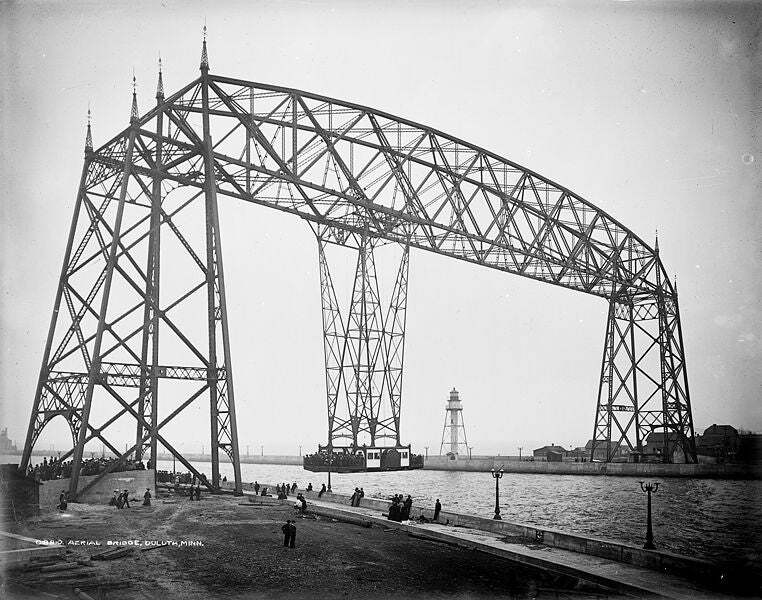 The project opened in 1893, and it is one of the few Transporter Bridges still in operation today. Palacio was kind of an eccentric: The same years he was working on the Bilbao bridge, he proposed a monument to Columbus that would have built a 300m diameter steel globe in Chicago for the World's Fair. It was truly bonkers, even for the 1890s. 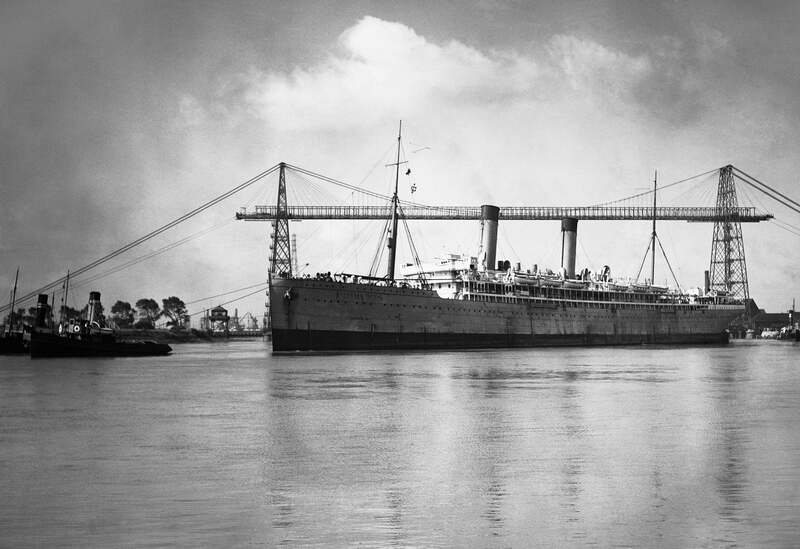 It was the engineer behind the Vizcaya Bridge, a frenchman named Ferdinand Arnodin, who was the true mastermind of the project. 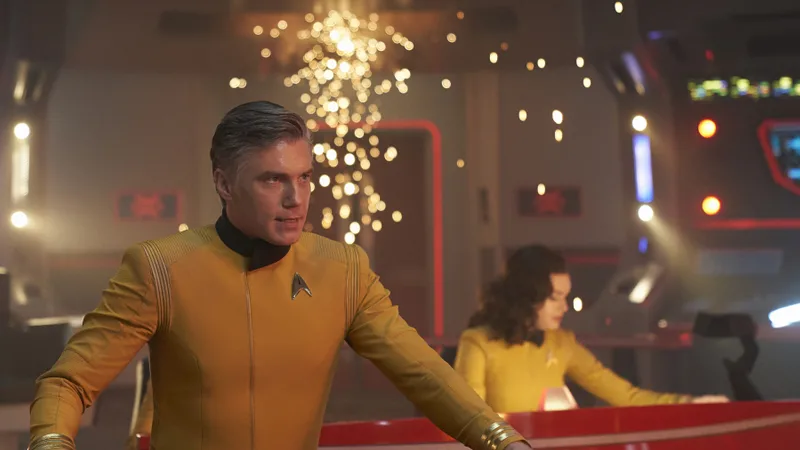 These were incredibly dangerous-looking bridge, but also incredibly elegant. Architects and critics would rave about them, and they became a kind of cult favourite. Much later, the Le Corbusier — responsible for some of the most important buildings of the century — would say that one transporter was "the most beautiful structure in this century." 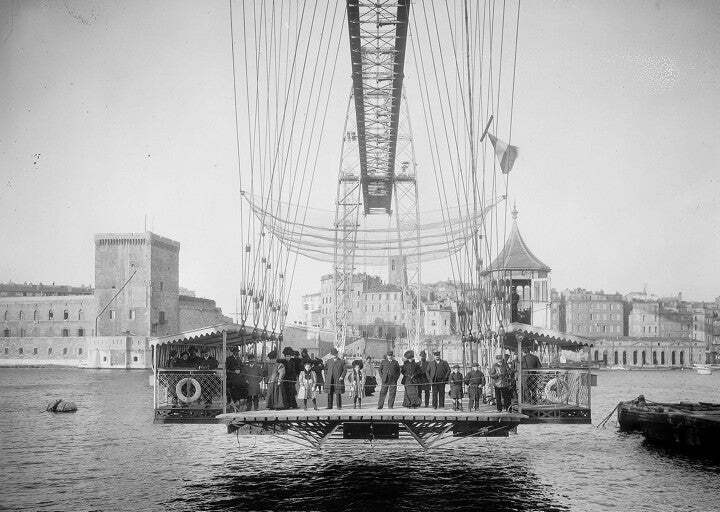 With Arnodin as a figurehead, transporter bridges began springing up all over the world. These were symbols of modernism and progress, as Christopher Beanland explained in a great story about one of the UK's remaining bridges. "What's seldom mentioned is the faith in the theories of modernism itself that the commissioners and builders of such structures would have had boiling in their veins," says Beanland. "Transporter bridges said: 'We are embracing the future.'" 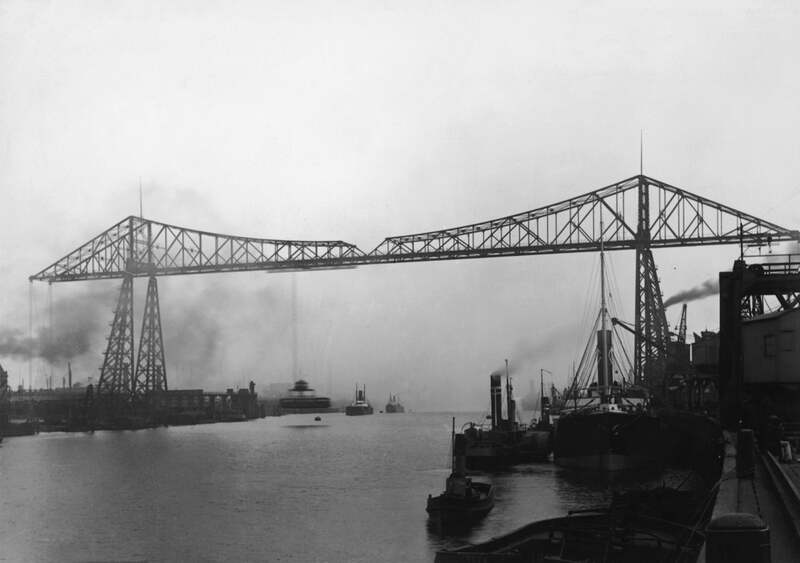 The transporter bridge at Widnes, Lancashire in 1947. Cleland Rimmer/Fox Photos/Getty Images. 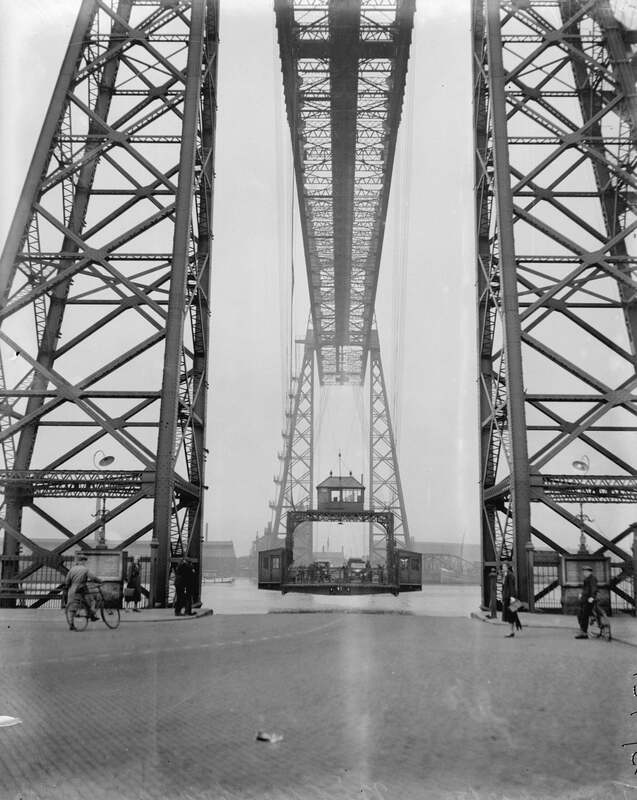 The Union Castle liner Balmoral Castle passing under the Newport transporter bridge in Newport, Wales, on June 19, 1939, AP Photo; The Newport Transporter Bridge in 1937. Getty. The Transporter bridge over the River Tees in Middlesbrough. Top: Topical Press Agency/Hulton Archive/Getty Images. Bottom: Central Press/Getty Images. Aerial bridge; Detroit Publishing Company Photograph Collection, Library of Congress. And in Chicago, Illinois, engineers would build a simple aerial lift bridge over a branch of the Chicago River — known as the South Halsted Street Bridge — which would later be demolished and replaced with this. So, what happened? 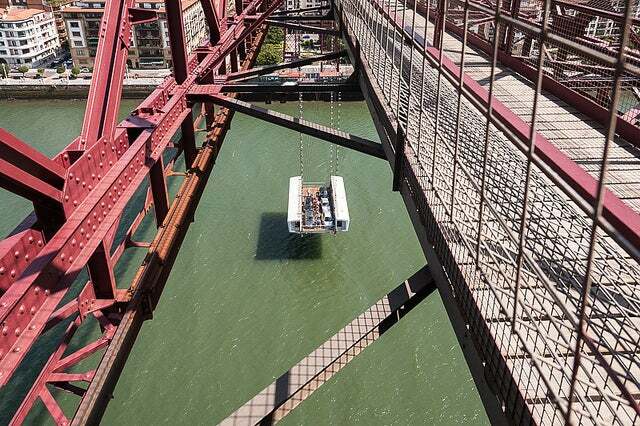 If these bridges were so inexpensive and practical, why isn't there a transporter bridge between Manhattan and Brooklyn, or between San Francisco and Oakland? The answer seems to be pretty simple. 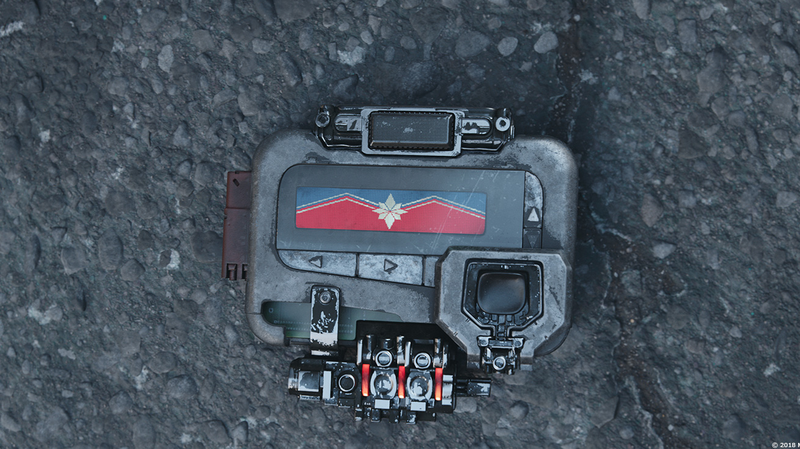 The car happened. After World War II, as the middle-class boomed, so did car ownership. The relatively small platforms of the transporter bridges couldn't ferry them across the river fast enough. 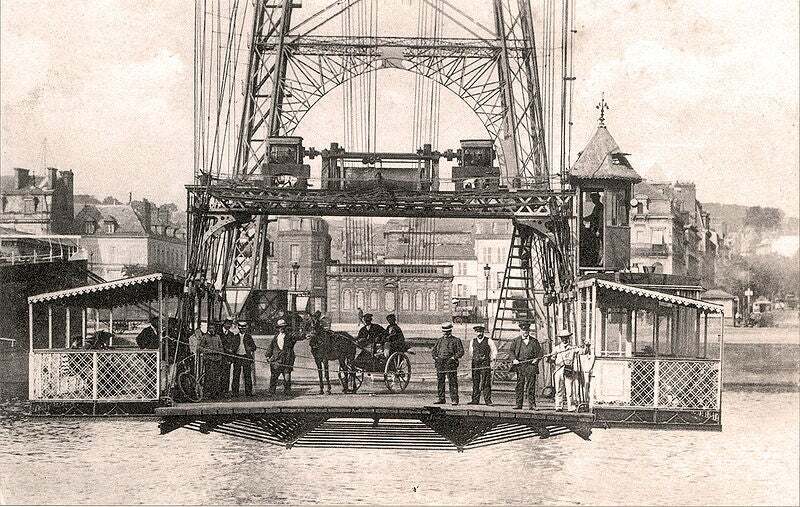 Le pont transbordeur de Rouen in 1903. So a spectacular idea that seemed poised to pop up around the world's great ports descended into obscurity. Today, the remaining bridges are mostly tourist attractions or historical eccentricities protected by landmark laws. If the car had arrived a few decades earlier, maybe they wouldn't have existed at all. But then again, the boom of industrial cities in Europe and the US at the turn of the century created the infrastructure that was vital to making widespread car ownership a possibility for the next generation of workers in those cities. 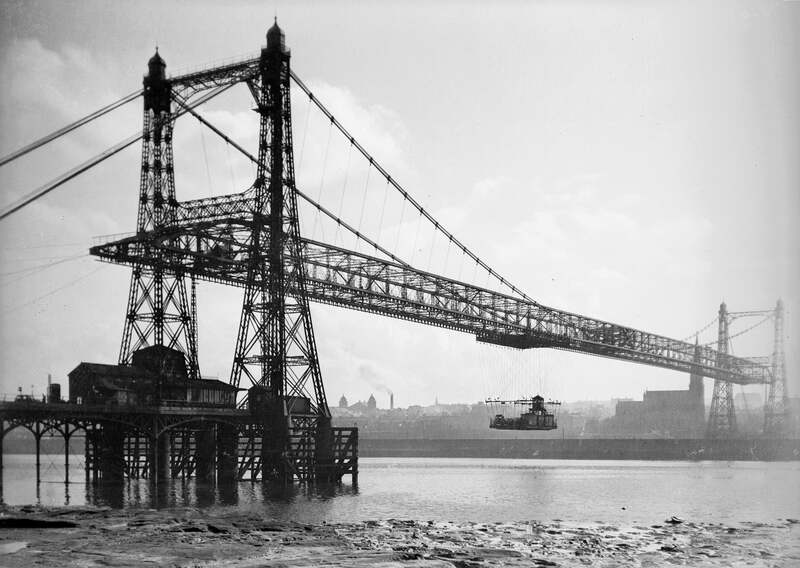 So the transporter bridge was also a literal bridging technology, a necessary innovation that closed the gap between the 19th and 20th century. 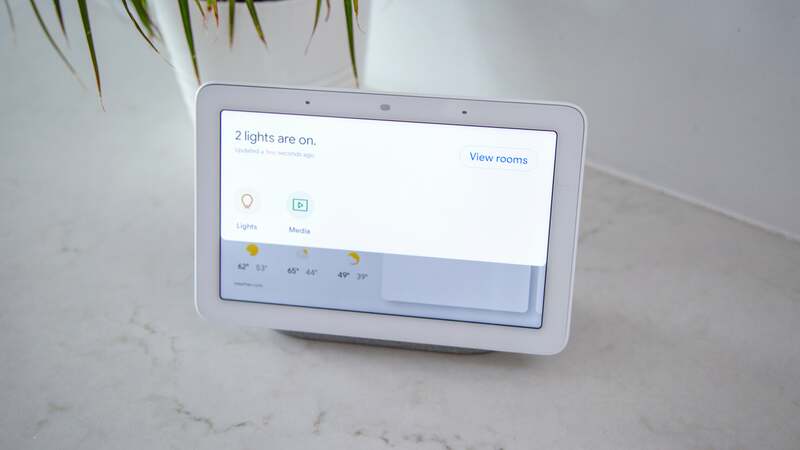 It's enough to make you wonder what present-day beacons of progress might be made unexpectedly irrelevant over the next decade or two — and a reminder that the road into the future is paved with false starts, wrong turns, and near-forgotten detours. 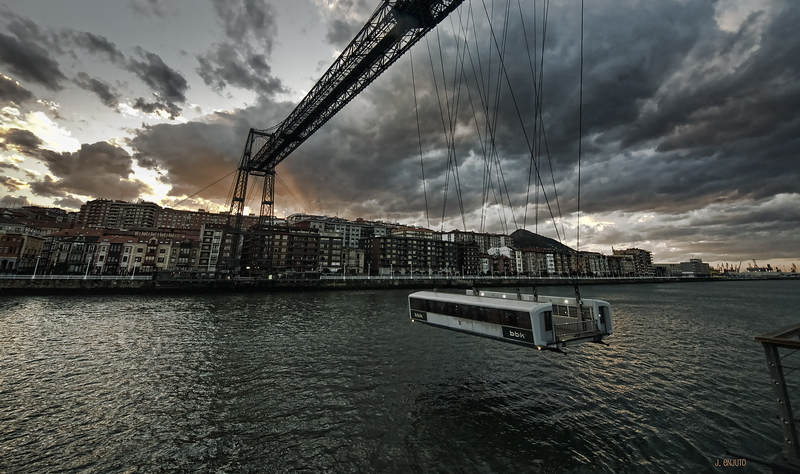 Picture: Javier Enjuto/Flickr, The Last Transporter.